Whether you are a seasoned veteran of eCommerce or just starting out, the first and quite possibly most important thing to figure out is niche selection. 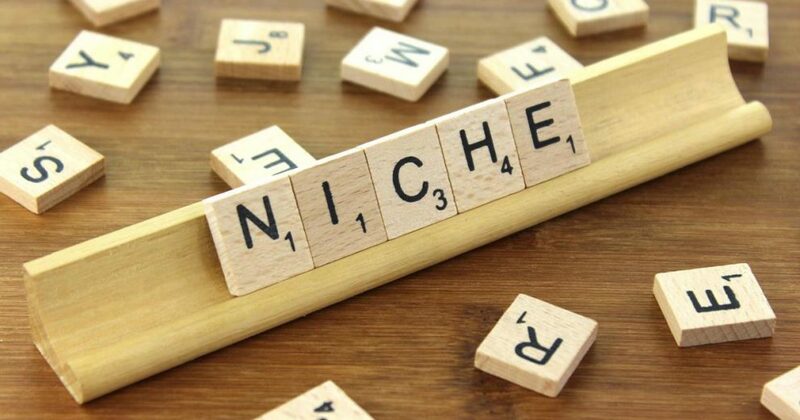 While we don’t believe niche selection can be the limiting factor as to whether your store is boom or bust, (every niche CAN work) it certainly may make things a lot easier or a whole lot harder. This week we are going to explore some niches for our new Shopify dropshipping site and settle on a niche to move forward with. But before we jump right into a niche, we need to do our due diligence on the market. Now, this can be accomplished in many ways using many different methods, but we have a process we like to follow for our own businesses that we hope will aid you in this crucial step of your business. The Genesis of niche selection can seem daunting, to say the least. There are endless amounts of directions you can go, but where do you start? We like to look at niche selection in 3 phases. Inspiration, Consideration, and Validation. In this first section let’s break down some ways to be inspired, and how to generate a long list of niche ideas. After building and selling a few different eCommerce businesses myself, I began consulting other budding eCommerce entrepreneurs. And I can relate! When I first jumped into the online world, I went to the Mall of America and walked around the entire thing! Four hours later, I left with the same amount of ideas I had when I entered the building. It seems everyone is questioning every idea long before just writing it down. But I challenge you to keep an open mind and know that we will consider and validate the niches further along in the process. Right now, the only goal is to generate as many ideas as possible. And believe me, it’s easy. Niche and product inspiration is literally everywhere. Whether you are at home, the office, the mall, the doctor, or just out for a Sunday cruise, everything you encounter is likely a niche you can enter. Here’s a great example. I live in a pretty small town and not many restaurants exist in my neighborhood. So after a long day of grinding away on the computer, if I’m hungry and don’t feel like cooking, my options are pretty limited. But there is a little gem on Main Street selling the most amazing Authentic Mexican food. So the other day, shortly after discussing our idea to build a Shopify drop shipping business with Cory, I ordered some fajitas and hopped in my truck to go get them. With my mind on a new store, everything I saw was an idea for me. I pulled out of my driveway and the first thing I noticed was my neighbor in her garden. She was walking behind her tiller prepping for this year’s crops. On the ground next to her was a box containing her greenhousethat I had seen out my window for a few years but selling one had never crossed my mind. A few blocks later, as I was passing the local hardware store, I see one of those whacky arm flailing inflatable thingsdrawing my attention. In their parking lot, they had a large event tent with all of their bbq equipment set up inside. I made a turn down Main Street and parked in front of the laundromat next door to the Mexican restaurant. In the window was a child at the gumball machine right next to her parents folding laundry fresh out of the coin operated dryer. As I walk into the restaurant, I can’t help but notice the giant neon sign letting me know they are open. In a two minute drive, I saw eight niche ideas! And rather than talk myself out of each one for one reason or another, I just jotted them down. The whole point of the inspiration phase is just to gather as many ideas as possible. So, let’s look at other places we can draw inspiration and make as long a list as possible knowing we are going to trim all the fat later on. A great place to begin is looking at your own hobbies. You might think you are into some obscure hobbies, but the great thing about today’s consumeristic society is that we are all very connected. No matter what crazy hobby you may be into, many people around the world are into it as well. And finding your audience online makes it easy to advertise to them. So make a list of the hobbies you partake in. Whether it’s working on cars, scrapbooking, or underwater basket weaving, (is that a real thing?) write it down. Outside of your own hobbies exists hundreds of others. Wikipedia created this giant list of hobbies and the majority are great niche ideas. So grab as many of them as you like from that page, write them down, and let’s look for more. Since we are going to be drop shipping our products, let’s head to the biggest drop shipper of them all, Wayfair, and scour around for more ideas. Nearly everything on their site is currently or has been drop shipped at some point, so you can be confident knowing you can drop ship the majority of these products too. Other drop shipping sites to look at and generate ideas from would be sites such as Hayneedle and Auto Anything. Have other sites you like to use? Leave them in the comments below! The next place I like to generate ideas from is the Amazon Best Sellers page. On this page, you can find the top 100 products in every category and subcategory on all of Amazon. So, not only can you generate broad markets to target using their list of categories, you can then break that down further into sub niches and even the products themselves. You can then use the data at the product level to consider and validate as I will show you later in this post. Write down as many broad niche ideas, sub niches and products that you like and let’s move on to the next resource. Have you ever looked at the sites listed on Flippa or other website brokers for ideas? Your first instinct might tell you that all you will find on sites like Flippa is failed eCommerce stores, but these sites can be gold mines. Every store I have built is a niche someone told me wouldn’t work. So when I see eCommerce stores listed on these sites, I analyze them and the mistakes they have made and ask myself if I can do it better. Make a note of these niches AND the URLs, so you can come back later and learn from someone else’s mistakes if you do end up choosing that niche. 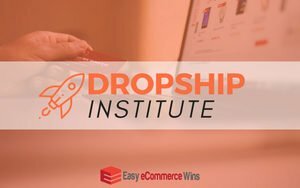 There are quite a few businesses teaching many different types of drop shipping online. In order to get people into their courses, they must first start by attaining your email. Many of these companies offer you a large list of niche ideas in exchange. If you’ve shown interest in drop shipping online, you’ve likely been targeted on Facebook by other lead magnets. Download them and add them to your list. At this point, if you followed the instructions above, you should have hundreds of niche and product ideas. Save this list and we’ll move onto the next step, Consideration, where we will show you the criteria we use to chop down this list quite a bit. The sole purpose of the inspiration phase was to generate ideas, and now that we’ve written down hundreds of ideas, it’s time to trim the fat. We need to take each one of these ideas through our criteria and start crossing them off our lists. It’s good to remember this very simple truth when choosing a niche, “It takes the same effort to sell a $10 item as it does to sell a $1000 item”. And in our experience, the same can be said for products up to $20,000. It’s a very popular tactic to jump in feet first and try selling impulse buy items that are easy to move in volume on social platforms like Facebook and Instagram, but Cory and I have discovered over the past few years that we don’t like this model very much for a few reasons…. Profit is very low. We don’t enjoy processing orders for a few dollars per order. Workload is high. With high volume sales of low ticket items, you spend a lot of time processing orders and handling customer service. For those reasons alone, we target products where we can get the Most Profit With the Fewest Orders. On both of these products, you have a 30% margin. But, there is a big difference in time spent making $300. Now I don’t know about you, but I’d rather put in the effort to sell one $1,000 item than to process 100 orders at $3 a piece. Don’t forget all the headaches that come along with 100 orders too. Certainly, there is a different type of effort that needs to take place to sell higher ticket products vs. small widgets. But in the end, we have found it is much more lucrative. At the end of the day, we are looking to become an authority in our niche while building a scalable sellable asset, not just sell products. Selling high ticket items comes with some added benefits too. Typically all of the high ticket items we sell have accessories that the consumer either needs or which enhance the experience with the product. We can use these as upsells to increase our average order value, or use them as entry points to our website and funnel them to purchasing the larger product. Using the example above, with a $10 widget, you have about $2.70 margin after paying your credit card fees. With the average eCommerce conversion rate hovering at around 2% you would need to acquire your traffic at around $0.05 just to break even on your sale. But, let’s look at the $1,000 item. We have $270 margin after fees and using the same math, we can afford to pay $5.40 per visitor to break even. And if you’re using the Upside Down Funnel Method we teach in our Adwords for eCommerce course, you know your cost per acquisition will be far lower than $5.40 per click! For most day to day purchases, you probably overlook the small burden of sales tax. But, when buying a product over $1,000, sales tax can be a large expense. For most online retailers, you only need to charge tax in the state which you reside in leaving 49 other states that can buy from you without the extra expense of sales tax. Big box retailers with a location in every state must charge sales tax in those states offering you a bit of an advantage. Obviously, this isn’t something to build your business around, but until the laws change, it’s definitely an added benefit for your store. So using price alone, our long list of niches and products has been slashed significantly. Now let’s go ahead and chop it down further. Even if brick and mortar stores are slowly dying (and they are), people would still like to go see the product they are about to spend a large amount of money on in person. They want to see it, touch it, and fall in love with it. Our task is to find products that aren’t readily available at your local Walmart or Home Depot. If you were in the market for a new Lawn Mower, you would likely head to one of these big box stores and take a look around. But, if you were in the market for falcon handling supplies or a mobility scooter, where would you go? You’d have to go online to learn more and to purchase these. By providing value through long-form content, and great explainer videos, we are able to answer all of the customer’s questions and sell them high ticket items that they have never seen or touched. So take a look at your list and start removing products that you can hop in your car and go pick up locally. Most products and niches are seasonal in some way. What we don’t want, are products which have a very pronounced season. Building a store around a niche that only sells well for a few months of the year isn’t what we’re looking to do. But before you cross them off your list, take some time and see if you can “niche up”, or broaden your niche a little to capture more of the year. For example, if you had narrowed your list down to turkey calls, you may quickly notice that there is a distinct season for sales of this product. But, by niching up, you could move into hunting products in general, and carry different products to coincide with every hunting season. This way you can make sales all year long rather than only in a small window. 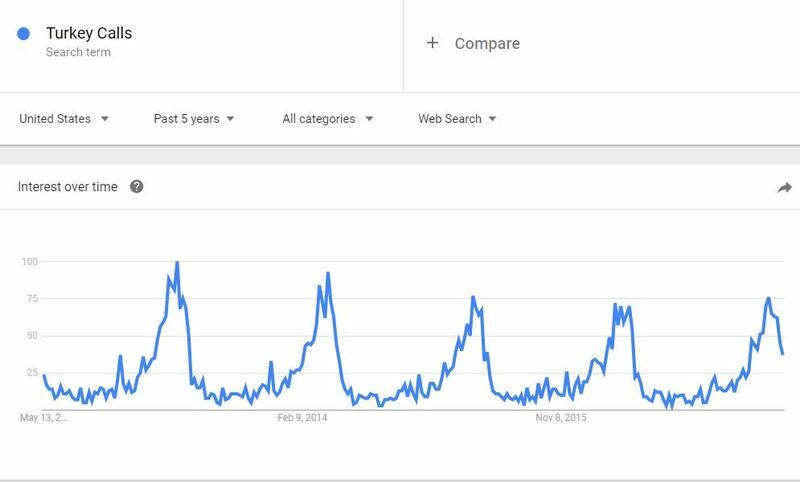 If you are unsure about some of the items on your list, head over to Google Trends, and take a look at how much interest there is in your products throughout the year. Now, simply consolidate similar products to broaden your niche, and cross off the products that just don’t make the cut. MAP or Minimum Advertised Pricing is extremely important when choosing a niche. The last thing that you want when selling products online is to get into a price war. No one wins that battle. So how do we determine this while researching our niches? I searched Blue Yeti on Google and these are product listing ads that came up. We can see by looking at these results that the Blue Yeti Blackout Edition has a MAP of $129. We know this (or at least have a really good feeling about it), because all the sellers are at or above a certain price point. In most cases, online sellers will sell as low as they are allowed. Seeing everyone stop at a single price point, tells us the supplier is enforcing a MAP policy. There is almost always ONE competitor that breaks MAP, but looking at these results, I would feel good about moving this product to the next phase of our research. So if I was planning on selling podcasting microphones, I would simply search the different brands available and verify that every other brand has MAP as well. Again, our price point should never be our unique selling proposition. Our goal is to become the authority in the niche. Can you call Amazon and ask them questions about the Yeti? Do they have articles helping you decide which podcasting microphone is right for your situation? The answer is no, and this is how we compete with the “big boys”. They simply can’t provide the value we can when we focus on building a niche authority eCommerce store. How Stiff is the PLA Competition? When selling high ticket products, our main source of traffic will be Adwords, and more specifically Google Shopping Ads better known as PLAs (product listing ads). What we look at here is the number of future competitors we see advertising their products with Product Listing Ads. We want to see a smaller number here so that we know our cost per click isn’t going to be outrageous. I know we can dominate them using what we teach in our Adwords for eCommerce course, but what we don’t want is to compete with 50, 60, or even 100 other advertisers just to get the top spot. A simple Google search of your potential products will give you a good idea of your competition. 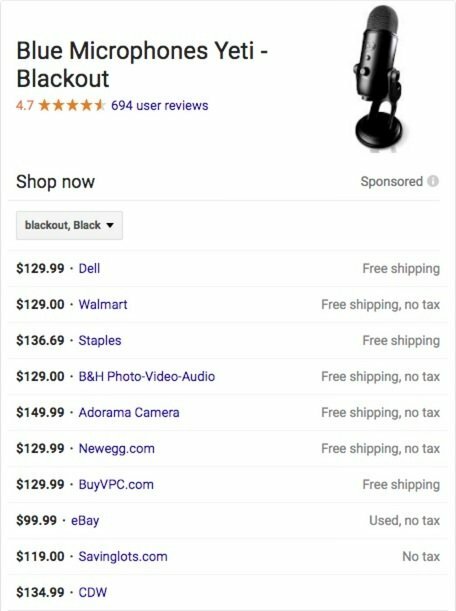 By searching our product, and navigating to the Shopping tab, we can see that the Blue Yeti Blackout is sold by 50+ stores. When Cory and I are considering a niche or product, we like to see less than 20 competitors. And ideally, less than 10. This allows us to be on page one in the PLAs every time, and at a low CPC. And don’t worry who the other competitors are, just how many there are. We can compete with anyone when we become an authority in our niche. By this point, our once very long list should be quite short. And once we move through the final step, we will have our niche. So now we’ve generated a ton of ideas in the inspiration phase and slashed that list greatly in the consideration phase which brings us to validation. All of the niches and products on our list at this point would probably make a good eCommerce store, but we want to make “Great eCommerce Stores”. Can we build a community? Are there open SEO opportunities? Can we broaden to scale? It’s these type of questions that if answered with a yes, can mean the difference between a lifestyle business (picture coconuts on a beach in Thailand) and a life changing business. Can we Add Value to the Niche? One of my favorite and one of the easiest ways to add value is to provide information. Our goal is to become an authority site on our niche and to do so we need to answer our customer’s pre-purchase questions with high-quality long-form content. Andrew Youderian said, “You’ll soon realize that all products, including physical goods, are really information products at heart”. Your customers aren’t looking for a product, they are searching for a solution to their problem. Our task as eCommerce store owners is to provide that solution. Let’s use the example of podcasting microphones again as I was once in this situation. My problem was I wanted to start a podcast but was completely lost on where to begin. So someone selling me a microphone wouldn’t have solved my problem, I needed information! This information would have provided me the value I was looking for. And if our eCommerce stores are structured correctly, as the customer, I would have ascended from the information to the purchase. So in order to answer our first question, (can I add value), I would need to start looking at my competition. Are they lacking in value in terms of content and information? Are people asking questions on forums or blogs about the niche that the current competitors are not clearly answering on their eCommerce sites? Put yourself in the customer’s shoes. If you were interested in this product, are there enough photos, information, installation help, videos, etc. If you see an area where customers could get hung up on the purchase because of lack of information or the information is not readily available in various formats, you can answer this question with a YES. As marketers, the internet has done a wonderful thing for us. It has allowed people with shared interests to congregate together unlike any other time in history. We can use this to our advantage by choosing a niche we can build a community around and have thousands of raving fans. Our niche audience criteria are really simple. We look for niches around passion audiences. For example, if we wanted to get into the pet industry, the first thing we would do, is get on social media and start finding out what kind of things people are passionate about in that industry. A few simple searches on Facebook can tell you a lot about your future customers. There are literally tens of thousands of groups dedicated to dog or cat breeds, training, sports, competitions, shows, you name it. If you can find products that are relevant to one of these large passionate groups of people, becoming an authority in that niche will pay off big time as you build your new brand! The best part about finding your audience BEFORE you choose your niche is that you will have a ready-made customer base when you do launch your store and you will know your audience before selling a single product. This is no small thing. A lot of eCommerce sites sell products for years before really knowing who their audience is or what they really care about. Feel free to check out one of our earlier posts on Finding Your Target Market for more info on this. If these communities exist, we can build one as well. Whether it’s a Facebook group, forum, or a highly interactive social channel like Instagram or SnapChat, we can grow a following that we can sell to long after we’ve sold them our core products. So get online, start searching forums, blogs, social channels, whatever you can find. 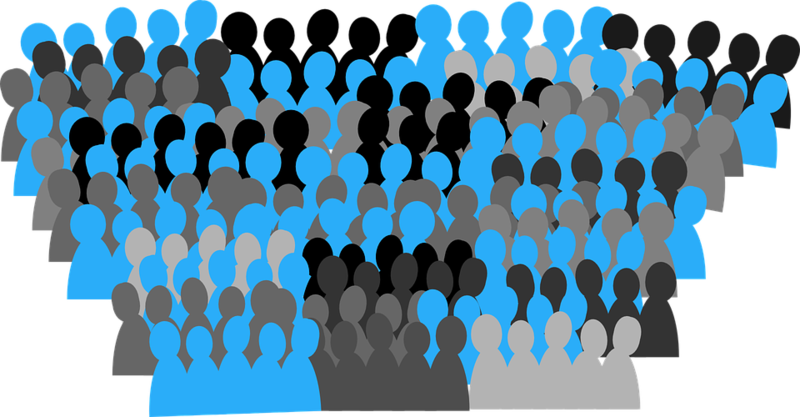 Try to locate where large groups of people with an interest in your niche come together. Don’t panic yet! I know the term SEO puts most people into a tailspin headed for an endless sea of confusing data analysis and keyword research, but we make this really simple. SEO and SEO for eCommerce are two different beasts. If you’re interested in getting the most out of your eCommerce SEO, you can check out our SEO For eCommerce Course. Cory walks you through eCommerce SEO step by step and shows you how we drive 30% of our sales and traffic from organic traffic and reduces our PPC ad costs significantly using an easy to follow SEO blueprint. There are a lot of things eCommerce store owners have to consider that other sites do not (and visa-versa). For the purpose of this post and for validating our niche ideas, when we say “are there open SEO opportunities”, we are talking about doing some very basic level keyword research. If I were to explore a niche for selling hammocks, I could hop on Google Keyword Planner Tool, Long Tail Pro, Ahrefs, or any number of popular keyword research tools, and do some basic searches that my customers might also search for. It wouldn’t take long to figure out that search terms like “hammock forum” are getting a decent amount of traffic but there are really no good hammock forums on the internet! I would call this an opportunity. Several of these tools also give you keyword difficulty ratings. This number tells you how difficult it is to rank for any number of keywords. If you see keywords surrounding your niche that have decent search volume (500+) and also have a very low keyword difficulty score, you have found another opportunity. We just talked about one way we can scale, by utilizing our ability to grow an audience and sell them numerous products beyond even what we carry. But what other ways can we scale? 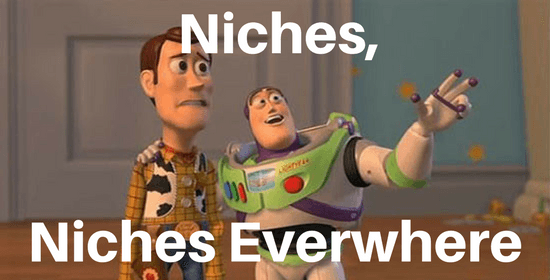 One easy way to scale is to broaden your niche or “niche up” as they say. Let’s use the greenhouse example from earlier. If we built a greenhouse authority eCommerce store and were looking to “niche up” to scale, we could easily take our store from 80% greenhouses and 20% gardening to 80% gardening and 20% greenhouses by adding more products such as tillers, raised beds, grow lights, aquaponic systems etc. But, being an expert in your niche is something that I truly believe sets you apart from the competition. 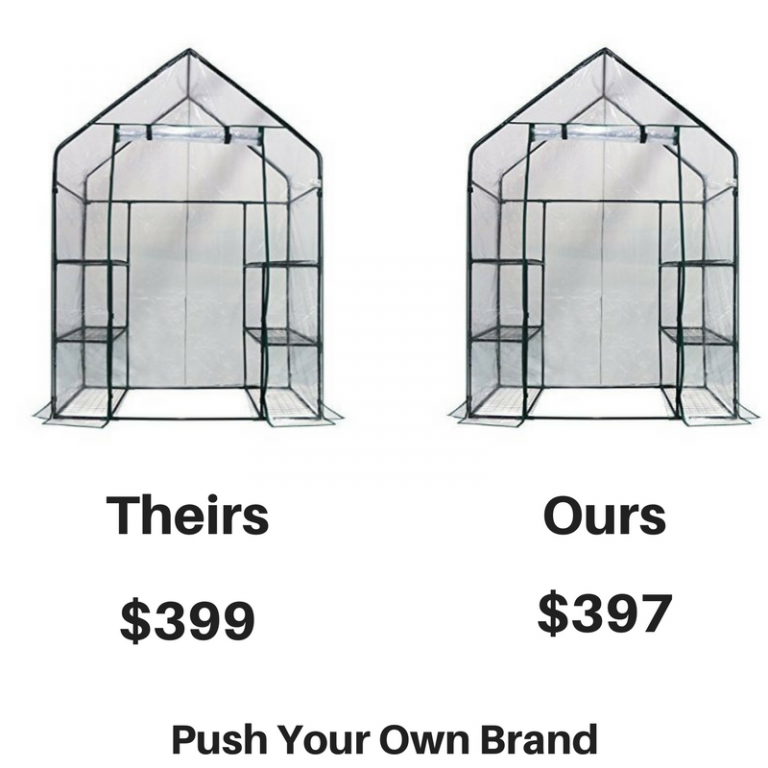 So how can we remain an authority by keeping our niche, greenhouse eCommerce store but still scale? We would build other, niche eCommerce stores and cross-sell to each other. By doing so, we can keep each niche separate and become an authority in each rather than a mall of gardening. We can write articles on each site tailored specifically for the niche products we sell. 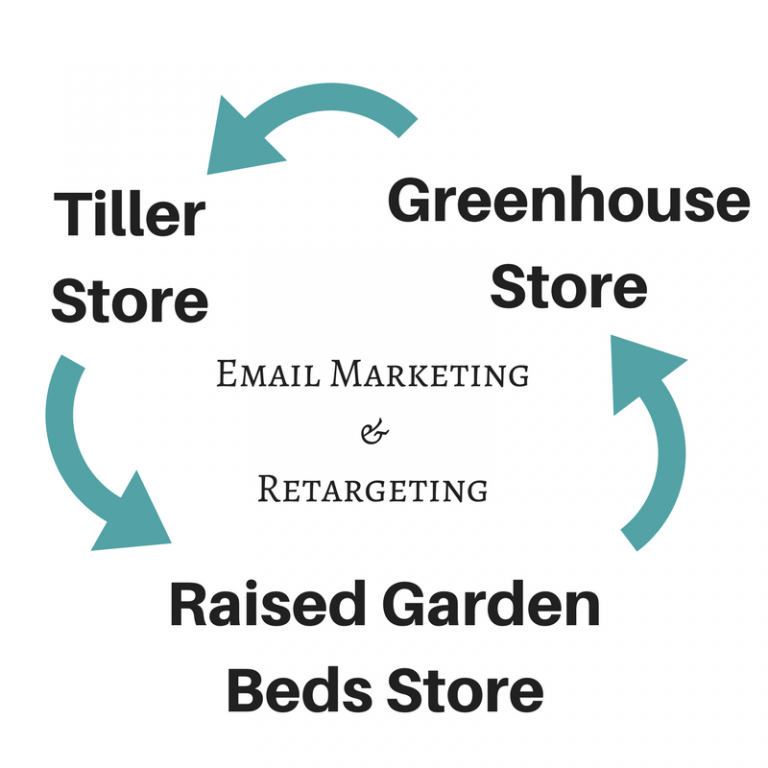 And since we can assume that someone interested in a greenhouse may also be interested in raised garden beds, we can provide more value to that customer by offering them discounts at our sister stores at checkout and by retargeting them with content, emails, and ads from our sister stores as well. Another great way to scale is to private label your own products. What I mean by private labeling, is to have a product manufactured by someone else, and have it branded with your company name and logo. This makes you a supplier for your own niche! Let’s stick with the greenhouse idea and say that you have a greenhouse that sells very well in your store. It sells for $400 and your price from the manufacturer is $280. For the sake of this post, we’ll use a round number of $50 for all your fees and shipping of this product. That leaves you $70 profit after selling this item. But if we can private label that same product under our own brand, and get it on site for $125, our profit just jumped to $225! We simply push our customer’s to our product on our site rather than our best seller. Not only that, we can now offer our greenhouse to our competitors to sell on their sites as well. Then, we can simply drop ship orders for them. And we can also add in other sales channels like Amazon, eBay, Houzz, etc to increase our revenue even further. So by identifying these opportunities prior to picking our niche and products, we know we are setting ourselves up for success down the road. Private labeling is a big step for many eCommerce site owners. And it can be a scary one! But don’t let this hold you back. You might be surprised how easy private labeling can be when done right. Finding the perfect niche for eCommerce is impossible as nearly everything on your list will fail to match ALL of the criteria. But by following these guidelines you should have a short list of products that you can feel comfortable moving forward with. I’ve given you a lot to think about in this post, and it’s easy to get hung up in niche selection and never take the next step, but I hope this post has helped you get clear on your choices. If this post has helped you, please share this post with anyone you think it can help! If you have anything you’d like to add, we’d love to hear your comments below!